Once again, Oriental Theatre brings you the very best in live entertainment as Rock of Ages comes to wow the audience on Sunday 28th April 2019! A show that will undoubtedly leave you wanting more, come see Rock of Ages, the highlight of your year! Get your tickets fast, before they go! Don’t miss out on this incredible night! Hitting the headlines once more is the up and coming Theatre event featuring Rock of Ages . 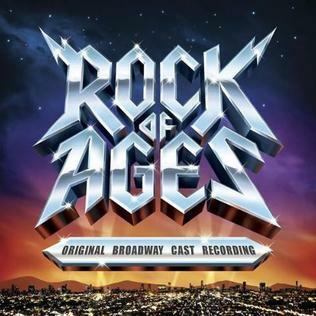 As soon as the announcement came out that Illinois is part of the tour line-up, folks over at Chicago excitedly welcomed the confirmed news that Rock of Ages will hit the stage of Oriental Theatre for a smashing but limited run starting on Sunday 28th April 2019. With news coming in from different parts of the world on how this show leaves audiences mind-blown, and with rave press reviews everywhere, this show was tagged as a 'must-see'! The ticket wires have been burning since day one, so quickly grab the chance to book your tickets now.